Dry grasslands are found in the National Park with 1.2% of the area on 122 hectares. 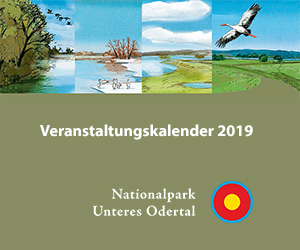 The dry grassland areas and dry forest hillsides in the National Park are mainly formed on calcium rich sandy substrates (sand, less loamy and more loamy sand), loam and marl in the Oder hillsides. In the course of historical farm-based land use, the continental dry grasslands were formed by large-scale sheep and goat grazing. Currently, the dry grasslands are often in fallow, ruderal and successional stages. In the areas near Gartz, Stolpe and Alt-Galow, the meadows of Thrift and Blue-shimmering grass are especially noteworthy. They are found on 48 hectares in the National Park. Rare species such as the Strangle-tare (Cuscuta epithymum ssp. epithymum), Gray Scabiose (Scabiosa canescens) and the Large Speedwell (Veronica teucrium) (RL 2 BB) could be verified sporadically. Within the group of basophilic dry and semi-dry grassland, the continental semi-dry grassland is the most common with 62 hectares. 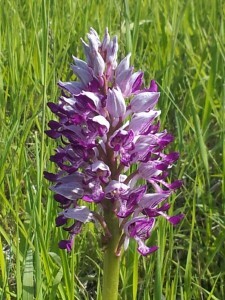 Typical species and those on the red list are Cross Gentian (Gentiana cruciata), Three-toothed Orchid (Orchis tridentata), Small Pasque Flower (Pulsatilla pratensis ssp. nigricans) (alle RL 1 BB), Squincywort (Asperula cynanchica), Moonwort (Botrychium lunaria), European Bellflower (Campanula bononiensis), Steppe Sedge (Carex supina), Dropwort (Filipendula vulgaris), Pale St. John’s Wort (Hypericum montanum), Irish Fleabane (Inula salicina), Military Orchid (Orchis militaris), Yellow Oxytropis (Oxytropis pilosa), Tufted Milkwort (Polygala comosa), Red Cinquefoil (Potentilla heptaphylla), Large Selfheal (Prunella grandiflora), Steppe Fennel (Seseli annuum), Common Campion (Silene viscaria), Flaxleaf (Thesium linophyllon) and Mountain Clover (Trifolium montanum) (alle RL 2 BB). Several types of habitats have been introduced in the dry grasslands according to Annex I of the Habitat Directive. Thus, the National Park has significant deposits of sub-Pannonia steppe dry grasslands (LRT 6240). This type of habitat was mapped almost all across the dry grasslandareas of Höllengrund and Schäferberge. 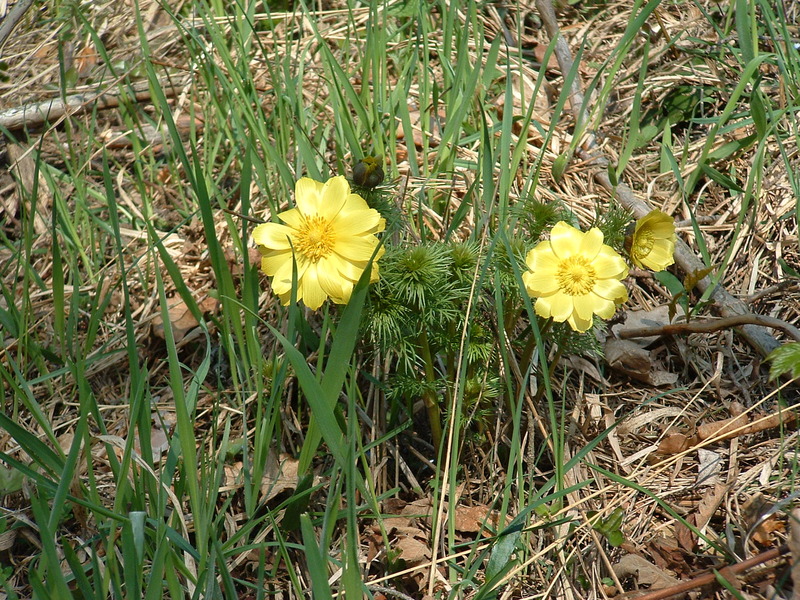 It is also frequently found in Alt-Galow/Stützkow and sporadically in the Krähen and Jungfern mountains. With 26 hectares, the LRT 6120 * dry, lime-rich sand grass is the second most common among the habitat types of dry grasslands in the National Park. These are particularly common in the dry grassland areas near Stolpe and in the Krähen and Jungfern mountains north of Stolzenhagen.